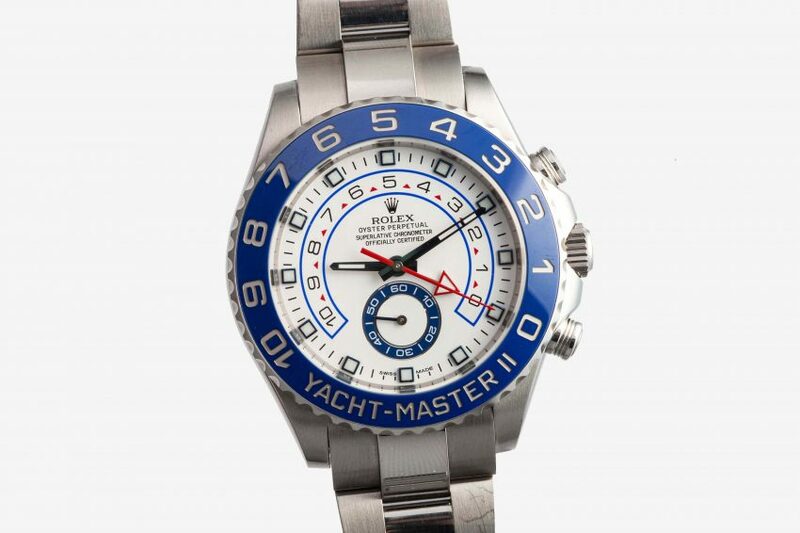 The Rolex Yachtmaster II is one of the more interesting sport models the brand has released in the last several years. Its among the brand’s largest, at 44mm, and also features one of its mot unique complications – a Regatta Timer. Not often seen in many a brand, the Regatta Timer is used by sailors before a race, and involves not only the two pushers on the side of the case, but also the bezel in order to use it most accurately. Complicated as this is, the time reading is still abundantly simple, and the use of a stark white dial underneath dark hands helps to amplify this legibility. Though 44mm, it’s still incredibly wearable thanks to the iconic Rolex Oyster case, and with its accompanying Oyster bracelet, along with its original box, it truly is a complete package. Note: $750 is deposit only and not full price. Once the initial deposit is made we will then reach out via email to discuss payment options for the remaining balance.